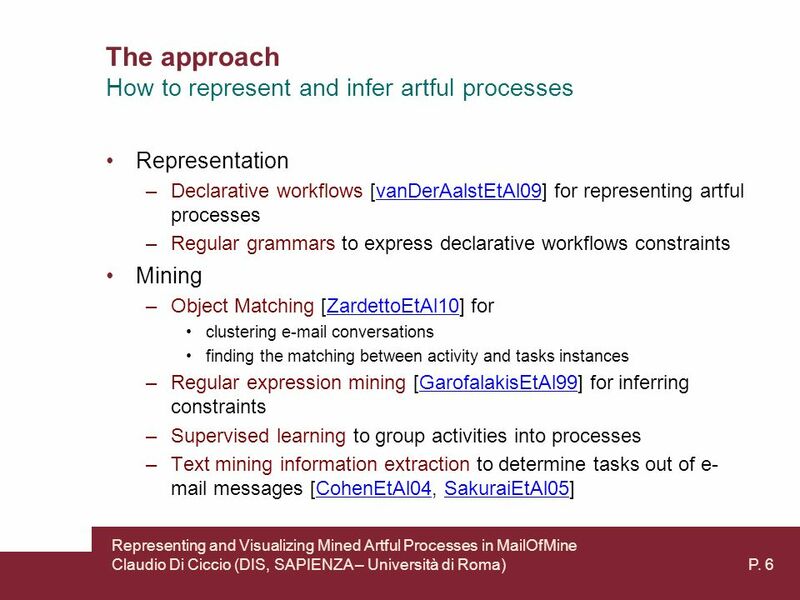 Representing and Visualizing Mined Artful Processes in M AIL O F M INE Claudio Di Ciccio, Massimo Mecella, Tiziana Catarci USAB 2011: Information. 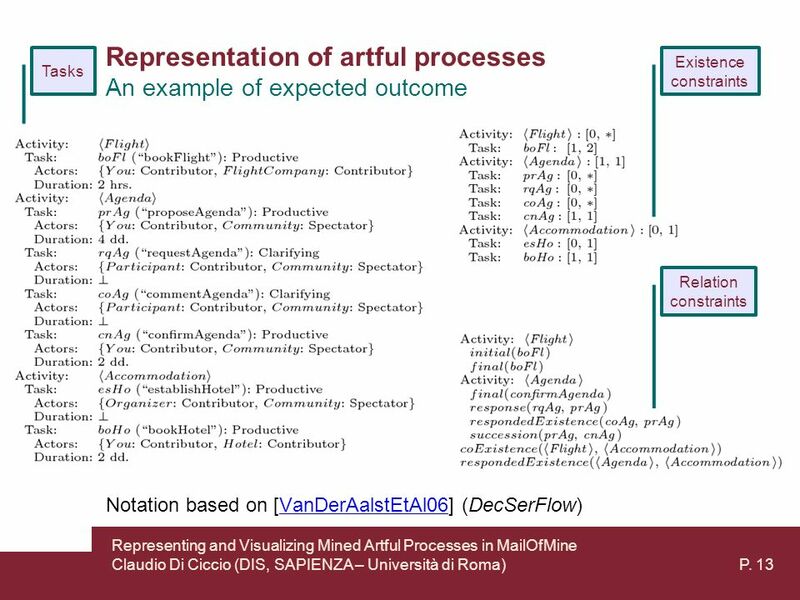 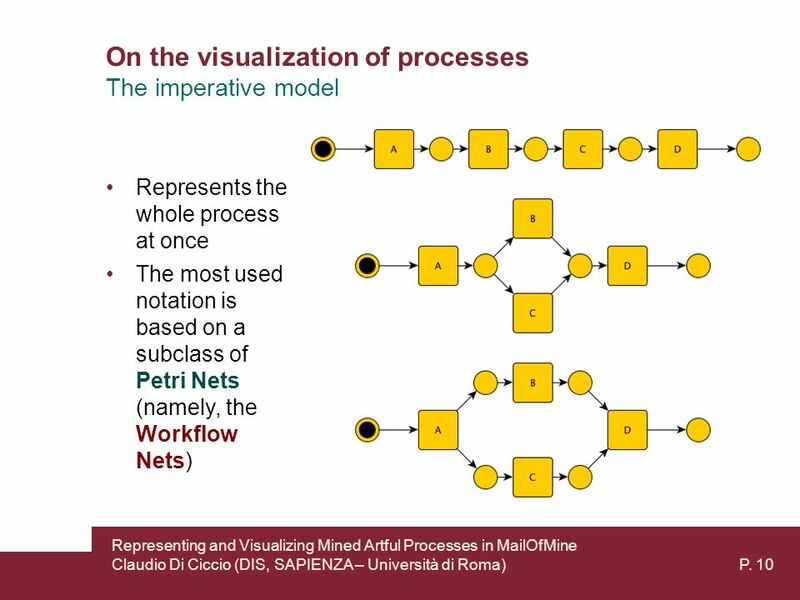 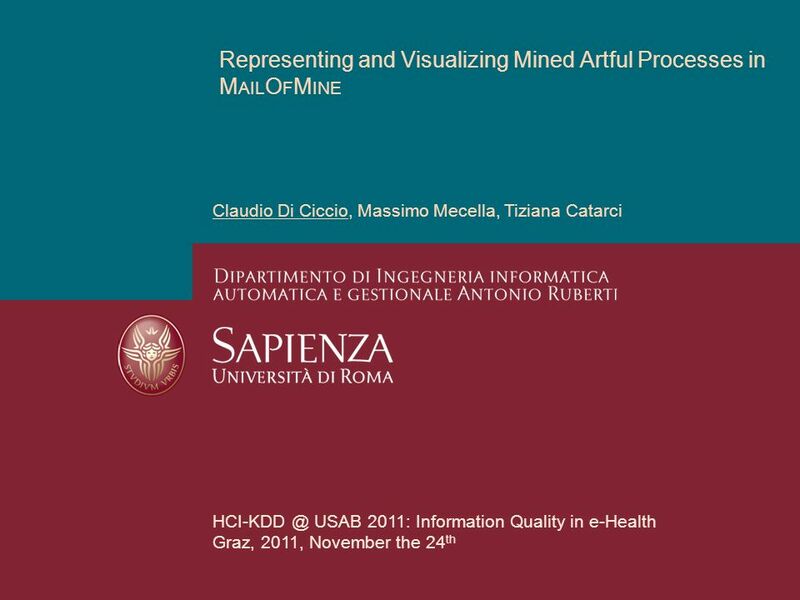 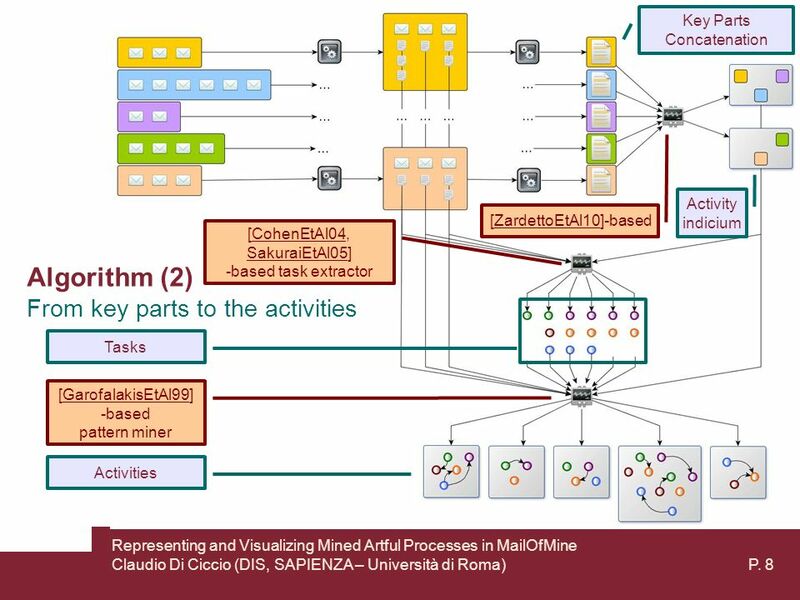 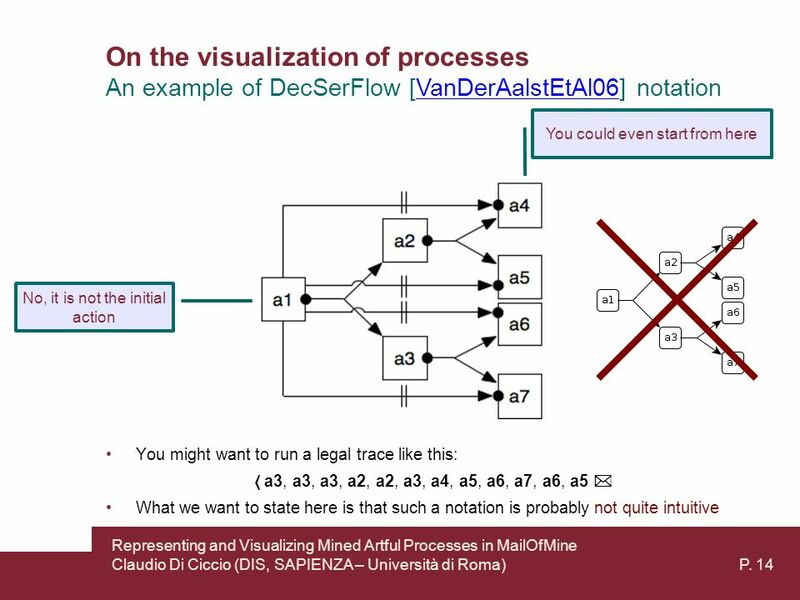 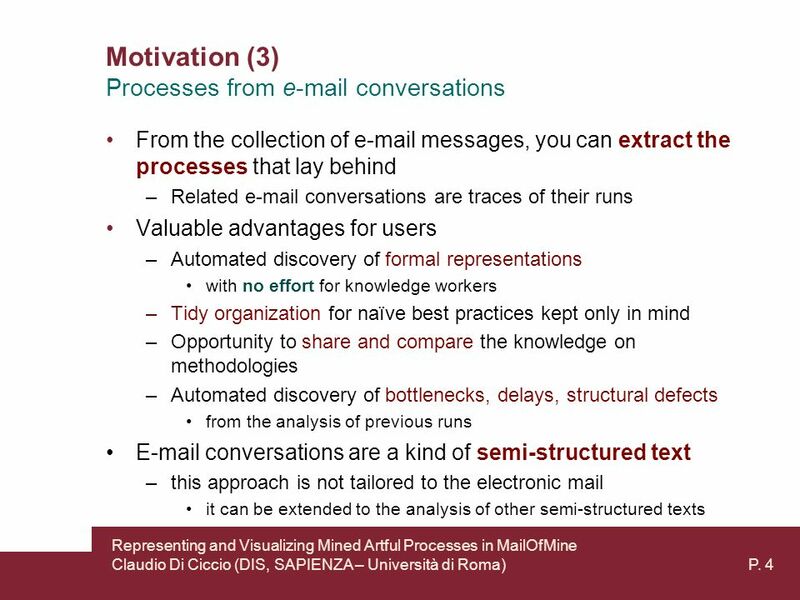 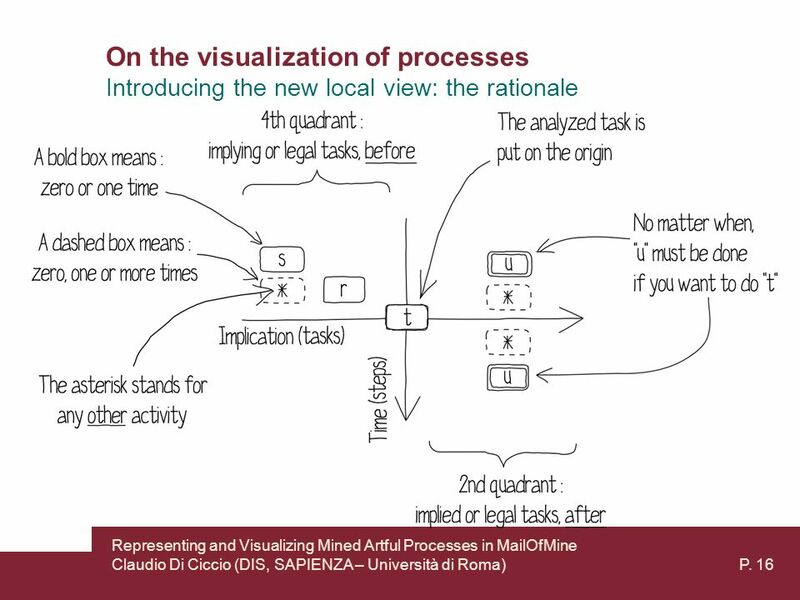 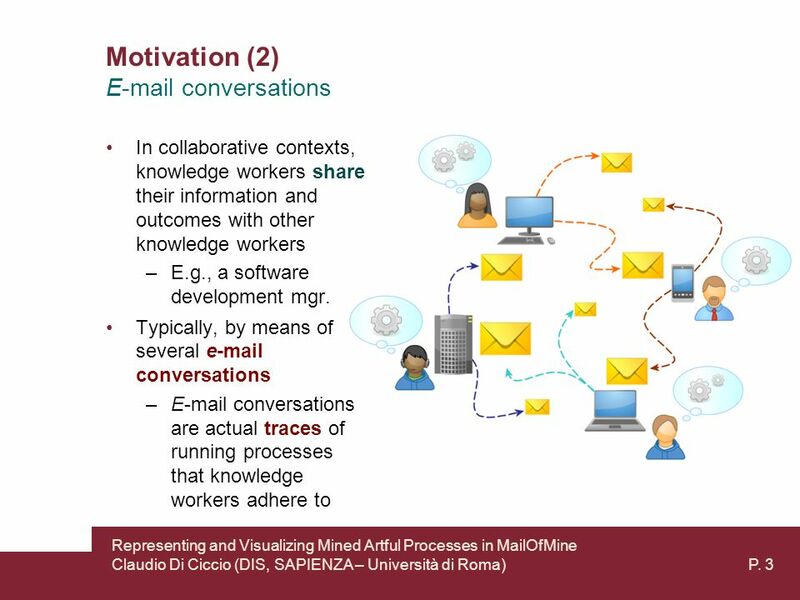 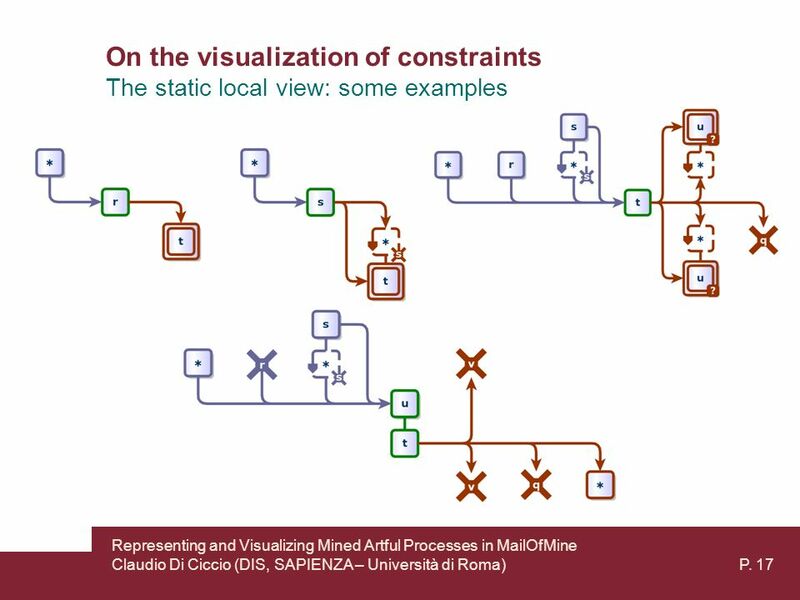 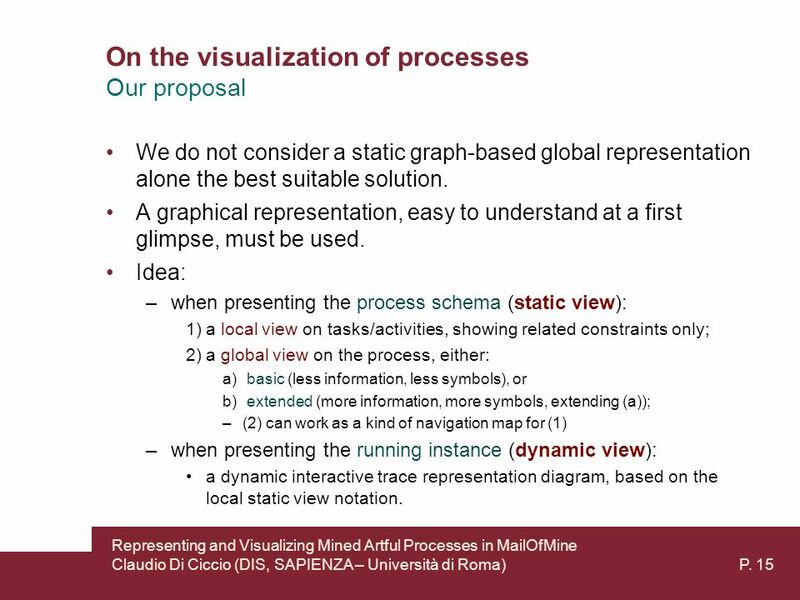 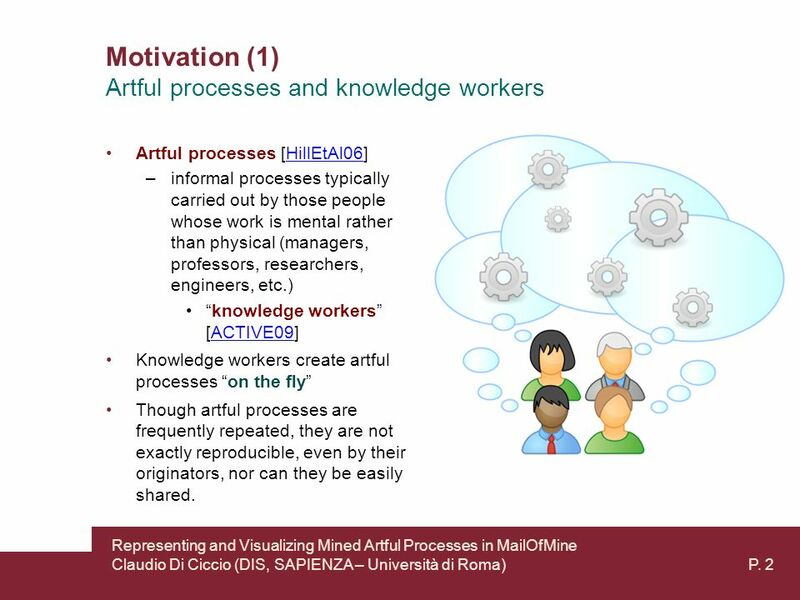 Download ppt "Representing and Visualizing Mined Artful Processes in M AIL O F M INE Claudio Di Ciccio, Massimo Mecella, Tiziana Catarci USAB 2011: Information." 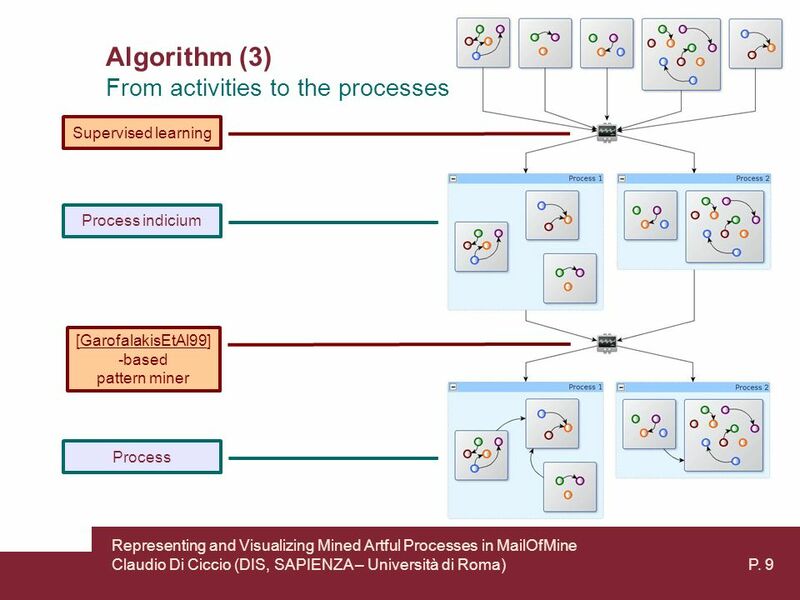 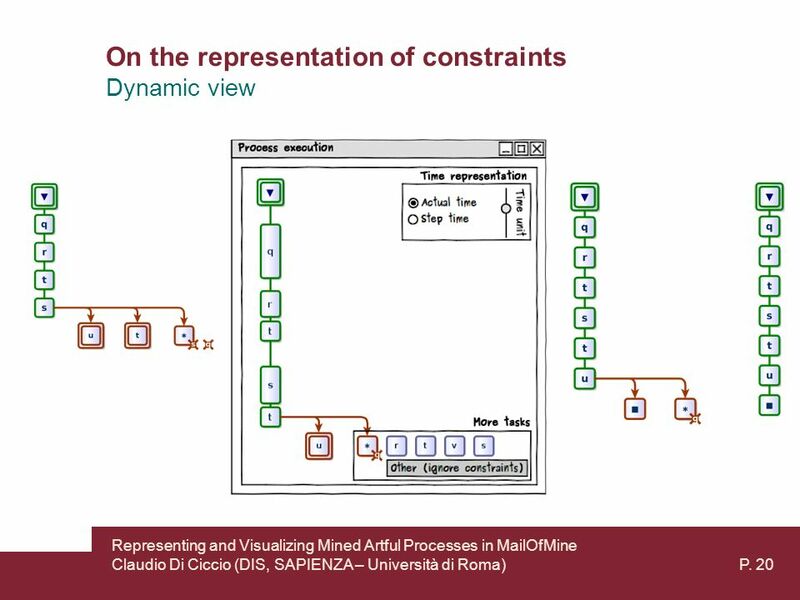 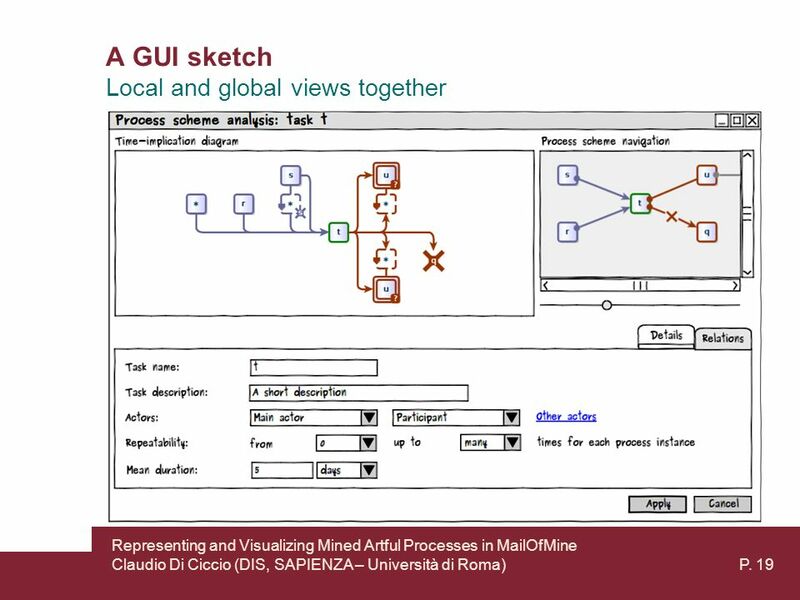 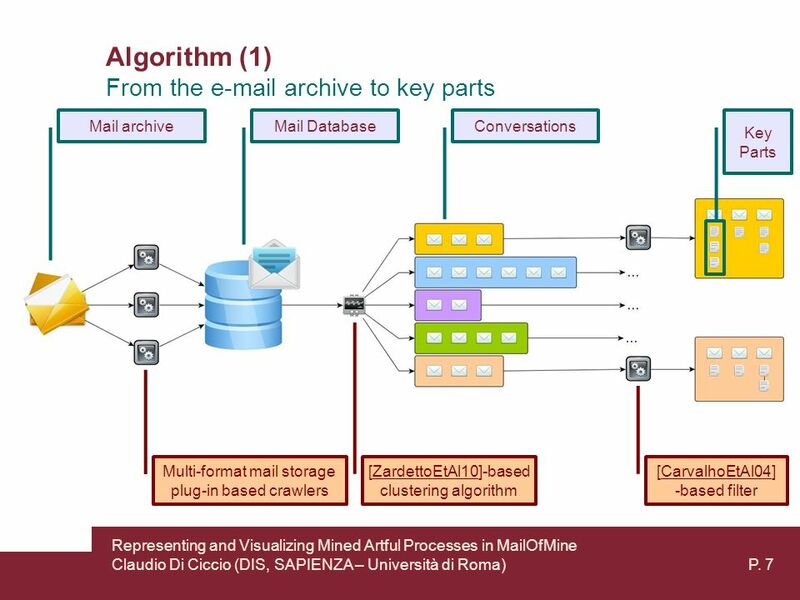 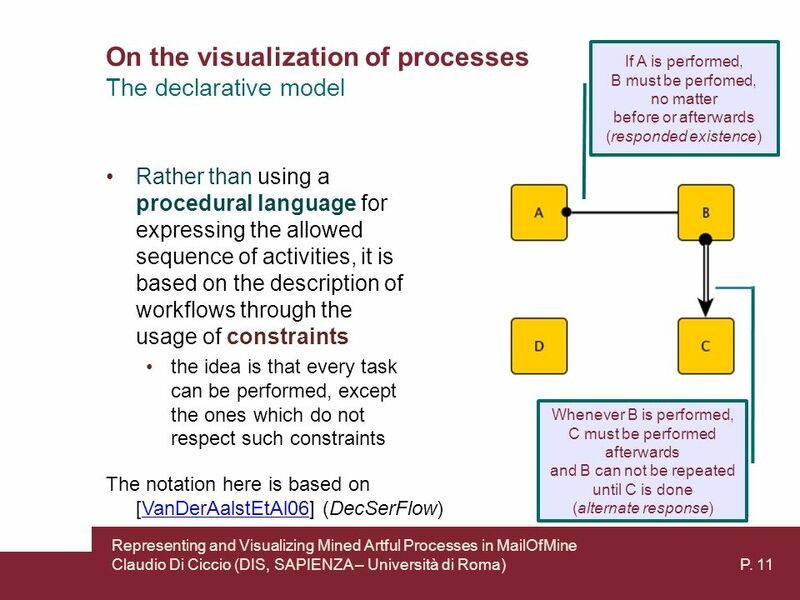 Process Mining An index to the state of the art and an outline of open research challenges at DIAG Claudio Di Ciccio, Massimo Mecella Seminars in Software. 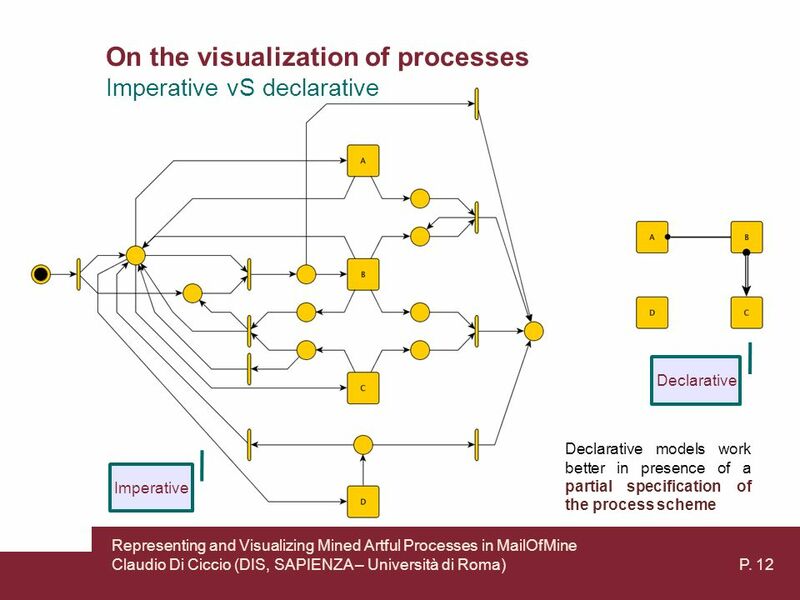 Process Mining An index to the state of the art and an outline of open research challenges at DIIAG Claudio Di Ciccio, Massimo Mecella Seminars in Software. 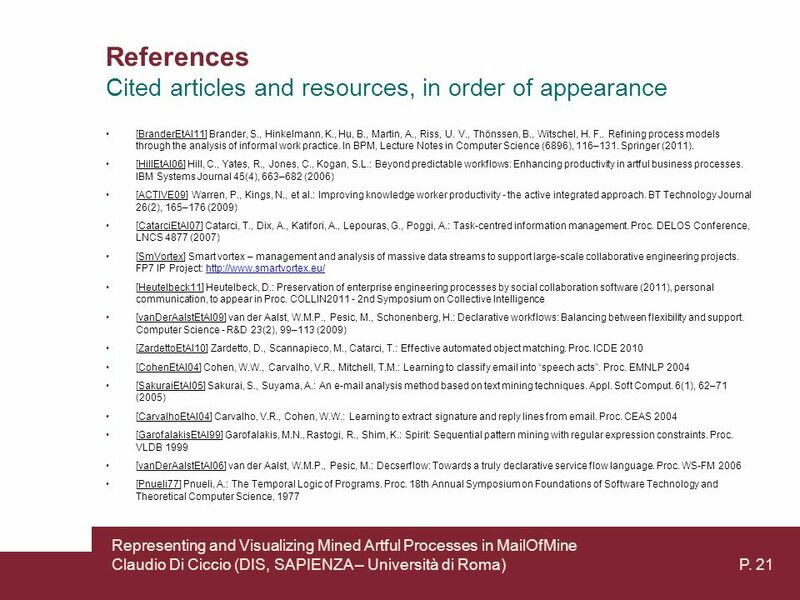 A-Priori Verification of Web Services with Abduction Marco Alberti 1 Federico Chesani 2 Marco Gavanelli 1 Evelina Lamma 1 Paola Mello 2 Marco Montali 2. 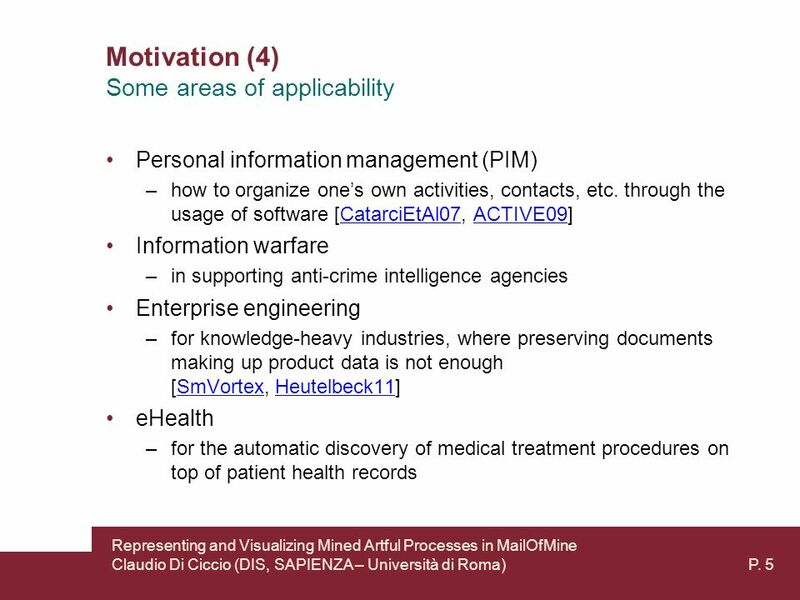 Improving imputation methodology in the Hungarian Central Statistical Office (HCSO) NTTS 2009 seminar, Bruxelles February 2009 Improving imputation. 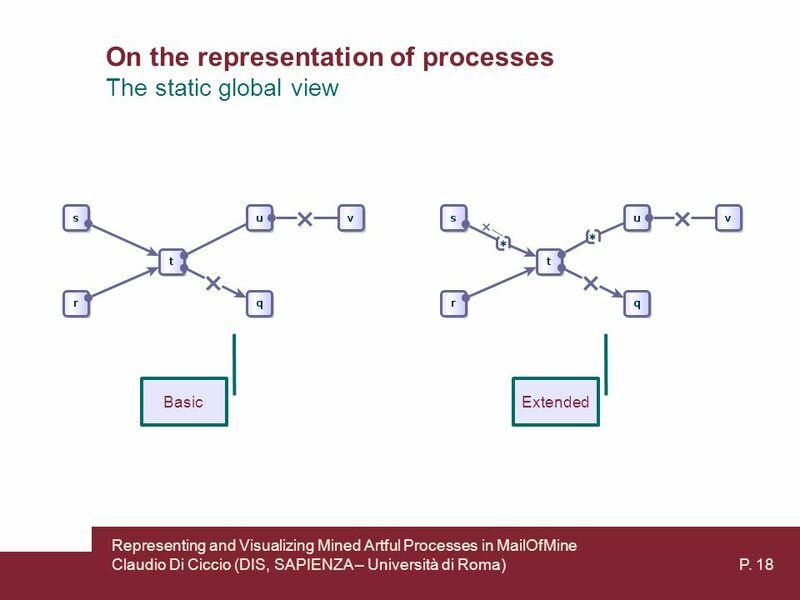 Antonios Farassopoulos Head of International Classifications and WIPO Standards Service Global IP Infrastructure Department Combined CPC/FI Introduction.